Richard Goldstein is the founding partner of the law firm and focuses his entirepractice on Personal Injury Litigation. Richard graduated from the Wharton School of the University of Pennsylvania in 1975, with a B.S. in Economics. He majored in accounting. 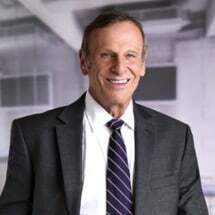 Richard attended law school at Nova University in Fort Lauderdale, Florida and received his Juris Doctor degree in 1978. He was admitted to the Florida Bar in 1978, the New York Bar in 1979 and the New Jersey Bar in 1988. From 1979 through 1983, Richard was counsel to the Patrolmen's Benevolent Association in New York City, where he successfully represented hundreds of New York City Police Officers in a variety of legal matters. Thereafter, Richard became a partner in the Law Firm of Weicholz, Peters and Goldstein in New York City where he practiced personal injury law. In the mid-nineties Richard opened his current office in East Orange, New Jersey where he has been practicing personal injury law ever since. Richard is a consultant to the Board of Directors of the Family Service Organization of Essex County and was the Chair of District Fee Arbitration Committee. Richard's son, Michael, joined his firm in 2011 after clerking for the Honorable William Wertheimer, J.S.C. in Union County and working for the law firm of Coughlin Duffy in Morristown.